Are we growing? Are we evolving? If not now, when will we begin? When I was younger I used to long for some grand spiritual teacher to appear, to show me the way, to guide me to the secrets of the universe. "When the student is ready, the teacher will appear." I must have read this line at least a hundred times in mystical literature. While I didn't quit my job to live an ascetic existence in a faraway land, a sincere seeker I was. Yet where was my teacher, my guru? Perhaps I should have been satisfied where so many have, in the wisdom of history and perennial teachers like Jesus or Buddha. And while I respected them greatly (!) and took what words I could to heart, maybe it was the disquietude of youth that still needed an extra someone I could relate to in the here and now. Not one to follow easily or join a cult ;) I felt a bit left out in the cold, although still hopeful. As the years went by it became clearer that some of us must've chosen to go it alone in this life. No special teacher appeared. Well, as we all do I learned many lessons (from the tiniest to the painfully or gloriously grand!) from friends and fellow travelers, but via no great guru. Perhaps there simply wasn't one for me. One thing learned, though, is that we really are all the same in the end. We're all made of the same stuff. "The blood inside of me is inside of you!" We're all strolling down the same seemingly endless road to God. And if this is a giant cosmic classroom, there must be grade/class levels. And as such, a 10th grader is no more special or important than a 2nd grader; they've just learned more. The older student hasn't reached perfection. They don't know all the answers. And eventually the 2nd grader will know as much. This view eliminates both worship and inferiority, and it allows for mentoring, for tutelage. The kid up one grade/class might still be struggling with calculus, but he's pretty darned good at algebra. Wonderful! You've got yourself a new math tutor. And so it was the other day, when working on a problem far more confounding than any quadratic equation, that I came face to face (so to speak) with my secret, unrecognized teacher. The dilemma was an age-old one: how do we love in the face of pain, when anger tears us up over someone stolen from this life, gone too soon? How do we love when we feel our hearts scream for vengeance? How do we not hate when our society even expects such reaction, when we shake with resentment and demand justice? How can we as fans face the tragic loss of our beloved Michael and live through the filing of charges and probable trial of Dr Murray... "with love"? My heart was crying out to find an answer for us, to hold us together, to not let division, conspiracy, hoax theories and infighting divide and conquer us. Us. Michael's Soldiers of Love. Where is my long-lost guru now when I need him, I thought?! And there, as eloquently as the universe could show me, there he was, staring back at me from a photo on my bookshelf ... these two big, beautiful eyes that have always gone straight to my soul and accompanied me from childhood, through dark times and light, always with me. It was Michael Jackson -- my imperfect, still-evolving personal LOVE tutor. All these years he's been there, telling me that if I want to make the world a better place, I should look at myself and make that change. He begged me to see that WE are the world, no matter if you're black or white. Let's start giving! He asked me, "Can you feel it? ", because the whole world is coming together now! He told me that we are here to change the world, that you're just another part of me (we're all one! ), that our message is within the MAJOR LOVE that we should be sending out to each other! He wanted to show me that we can "be God's glow" and heal the world, because "there's nothing that can't be done if we raise our voice as one!" And amidst the cries of "what about us?!" he lamented a world in which he "used to dream", but now doesn't know where we are. Yes, sometimes it seems we've drifted far. And on that awful June 25th, we certainly all cried at the same time that night. Michael couldn't do it alone. It's going to take somebody else... thousands, maybe millions of somebody elses. Me! You! All of us! And that was his message in This Is It. "It's all for love. L.O.V.E." Do we care?! Do we give a damn?! Love doesn't compromise. Love doesn't wait until it's convenient to teach you its lessons. "Love won't wait" until we finish simmering with hatred and bitterness and try to regroup and find ourselves again. We're a family, MJ fans. We've always been and more than ever before we must remain one in this difficult time. Our precious teacher is gone from the physical world and now we must turn to each other. If we can't treat each other with love, where does that leave the world? It's time to come together, stand strong and declare in one voice that it's LOVE we represent! Not hate! LOVE. That's the message. That's the truth. If not now, then when will we begin? .........Thank you SO Much for writing this!!!!! This is ~WOW~ beautifully written, thank you. We pray that justice and truth will prevail. Have to admit, I kind of lost it towards a person at work today who said something totally ignorant against our beloved MJ. Tough to show L.O.V.E. not A.N.G.E.R. I should have just walked away. Thank you so much! Some points in your letter I know very well by own experience. Sometimes I feel lonely because in fact there is nobody around I could talk to about Michael and how I feel, especially in times when the pain of that huge loss is coming back (just happened these days). Then the MJ-Family is my strength - I want to thank you for beeing there. Remembering that we are united in our L.O.V.E. for Michael, united in common efforts to make his deepest wish come true, that we truly are together as one, has a healing effect and makes my heart light again. I'm doing my very best to give L.O.V.E. and hope. As Michael said: "We have to stop the hatred, we have to stop prejudice, we have to stop living in fear of each other". It's all about L.O.V.E.! Thank you from the bottom of my heart! I just ... cried and cried reading through it. 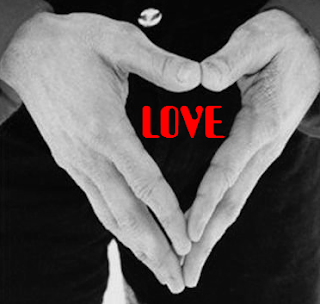 Thank you for your great, great words that are reminding us of the great, great LOVE Michael Jackson spread on this Earth. May we learn from his example. A MESSAGE TO FANS FROM JOE JACKSON: "I have heard about the protests planned for tomorrow (at the Los Angeles Courthouse, Monday, February 8) and I appreciate the fans feeling that they are Michael’s voice now that he is unable to fight for himself. I also want to stand behind the statement made online by a fan that you are a reflection of Michael and you must represent him as he would represent himself – peacefully, respectfully, gracefully, and above all else with LOVE. There is no room for hatred and violence. While we may not be as quick to forgive as Michael was, we must still conduct ourselves with the grace and dignity he deserves. Please remember this in your protest. Michael WILL get justice, just as we knew he would in his trial. Please remember that your actions will also sway public opinion and that justice can come sooner rather than later depending on the face the fans show the world. The world can see hurt, pain, and outrage, but not the anger. All we want is justice, nothing more, nothing less. This man should be treated as anyone else would in this situation. Showing your support and love for him in such a big way will not go unnoticed. We all appreciate your unwavering support. Majestik Magnificent plans to attend the protests to show support and appreciation to the fans for all their love." "What do you do with your anger? Channel it into something constructive! Use that energy to forge the change you would like to see in the world. But don’t give anger unlimited safe haven. Do not harbor it. Express it and get it out in a way that does not harm others. Do not internalize it in a way that harms self. Determine that you will work it out rather than leave the toxin inside you to fester. Do not take it out on those around you. Do not contribute to runaway conspiracy theories or gossip. Do not waste your energy fighting the ignorant. Go to where change can be made. Look into the facts. Do not destroy; teach. Do not dismiss; engage. Do not flail about; focus. Put your anger into sacred activism- that means doing something that serves humanity and advances its enlightenment. Yes, please be angry. Be very angry. Then be the change." Thank you for your touching words. We'll keep spreading his message of love. We love you so much, Michael ! Estamos en esto contigo Miguel Todos Unidos te queremos LOVE desde españa.no nos olvides somos tus Ángeles vamos contigo recuerda te queremos. Dearest BeGodsGlow, Thank you so much for your beautiful words on the home page. And I too read Barbara Kaufmann's words, and truly believe that she 'nails' what Michael would say/feel, and brings it still to us to remember. This site which you brought forth so beautifully, and with exquisite continuation, from a sweet spark of a love. God bless this site, it's purpose and your heart! You have expressed so beautifully and simply what I have felt growing from a realisation; to understanding; to desire; to change; to LOVE every day since June 25th. It is so simple to say LOVE is the message, but LIVE this message is to choose the path of a spiritual warrior. Together we truly will stand as an army of love, made up of warriors who have chosen to take the path that reaches deepest into our souls and leads to the enlightenment that only true understanding of love can provide. It is a life long journey and we can share it together, all races faces and places following the trail that Michael Jackson blazed for us through his lifetime. Love is the message I will strive to carry with me through every trial and challenge the rest of my life! Thank you for your beautiful, inspiring post! Bless you! BeGodsGlow thank you for verbalizing what has been inside seeking expression. These 8 months have been such a transition. I realize I will never be the person I was before June 25th. And that is a good thing. When he passed, I was shaken to my core, I couldn't make sense of how this "King of Pop" had effected me at such a deep spiritual level. I had to wrestle with my inner judgements and perceptions and views of religion and spirituality. To make a very long story short, I came to realize Michael is to our time what Jesus, Buddha, Krishna, Mohammad, etc were to their day. He had to come as a "Pop Sar" to have the global reach and impact in today's world. He could speak to words of Love and Peace to those who would never see the inside of a church. Religion keeps us separate, Love and Spirituality is based on our own experience. It knows no bounds. 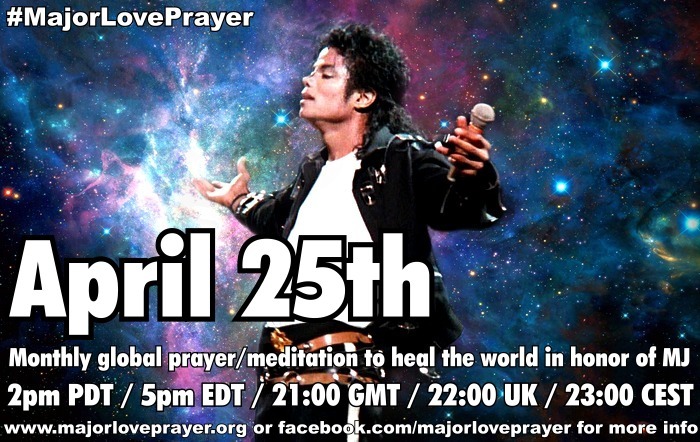 Michael came to raise our consciousness to a global consciousness. That we are all one, and We Are The World. Kenny Ortega said Michael was a holy man, a guru, which Michael laughed off. Travis Payne said in his last interview in Italy that Michael was a prophet. we're finally giving ourselves permission to admit what he was. The more I let go of the physical image of Michael, the more I experience his spiritual presence that is always with me. It also helps me with the sadness of missing his physical presence(the most gorgeous man to grace the planet, but they say the same thing about Krishna) and embracing the joy knowing he is with us always, and he has left us with an abundance of Music, images and messages along with a commission, a purpose in this life as his Solders of Love. I join in the embrace of Love today. We will change the world! BeGodsGlow,your writing brought me to tears and i'm so touched now. I have the same thought as you do. I'm a buddhist and i had also been searching for my guru to guide me.I have no idea that i have already had my "guru" but didnot realize that precious gift until losing him. Sadly but eventually found. Life is a mystery but i know that i am blessed. May you all free of hatred and sufferings! I believe by praying together and live in this circle of love we make our life better and the world is a better place.
" Live and pray that's the only way"
What beautiful truth and sentiment. YOu are so right. If not now, not us then who and when. Michaels fans are a people of love and faith. So here we are all standing for the same cause the same yearning of life without hatred anger violence. It is time to stand united it is a time of unconditional love. Lets all be there for eachother and even others who may not understand. You know the power of love is the strongest emotion. Love to all on this difficult yet eye opening day. So refreshing to read these comments. I have been so distraught by the angst of so many fans. I understand their feelings, but have wondered how they equate them with their sentiments of being MJ's soldiers of L.O.V.E. At times it has seemed they have preferred the S.O.L.D.I.E.R.S over the love. I'm sure that's not what we should be about. It is SO important to let the due process of law take its right and proper course, as it did in Michael's own trial. That was a terrible, terrible time. But it's over, and he was truly innocent, regardless of what the tabloids and muck-rackers would have had us believe. 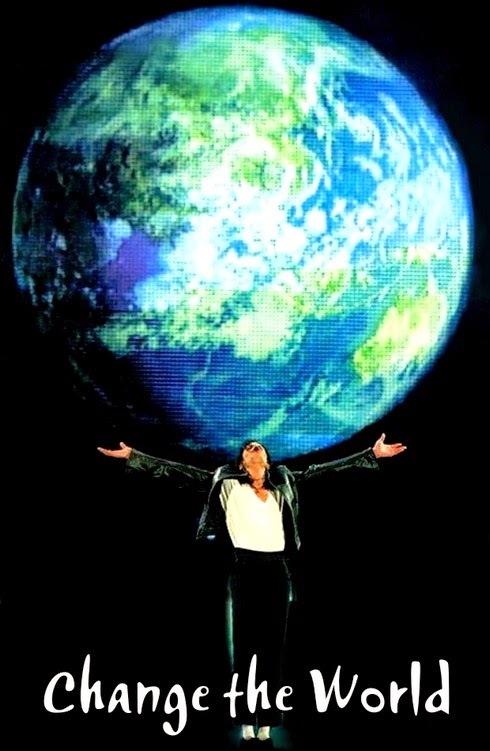 So now lets get on with truly showing the world what Michael's legacy means to us... following his example and turning our angst at the state of humanity, the threatened extinction of animals, the endangered planet itself, into POSITIVE action. We must choose our own way of doing good, but that is definitely what we should strive to do. Even if we only get halfway to our goal, we will at least have done something worthwhile. And likely as not, our own hearts would have healed in the process. Beautifully written as always BeGodsGlow. We are sometimed called fanatical fans etc, but the majority of people do not have the faintest idea that we love Michael not just for his amazing talent and beauty, but for the beauty within his heart, his soul. They have absolutely no idea who the real Michael is, they just see him as the caricature portrayed the tabloids. That is what we need to change - not through negativity, but through L.O.V.E. Love will win out in the end as will the truth. We have a huge responsibility as his voice, his legacy. We are the ones that have to make that change - be the educators, but you know, I truly believe we are, the tide is turning, slowly! Thanks so much for this beautiful writing. you express what so many of us feel and know to be the truth. You are doing a wonderful thing for the world with this site. WOW what a fascinating read was that... Indeed, Michael has always been that 'tutor' and that 'little voice' inside my head that 'nags' to do the right thing. Such a heartwarming post. You don't need to get or wait for a private tutor to help you find love. One day you'll wake up and realize you already had all the love you needed for the longest time.